Original shirt drawn by Pierz, author of Ravioli Uèstern, exclusively for Art-Shirts Lab, and taken from this comic. Also available, exclusively bundled with the shirt, a 100% cotton red shopper bag. Dimensions: 38x42cm, handle 70cm, 140gr/m2. Add it to your order from the options menu! The design is printed on Gildan Heavy-Cotton shirt, made with premium cotton, soft on the skin but more resistant and thick than the average shirt. The shirt is also pre-shrunk to preserve its size in the washing machine. The shirt is screen-printed with water-based inks to ensure maximum softness and to the skin free to breathe even during summer. 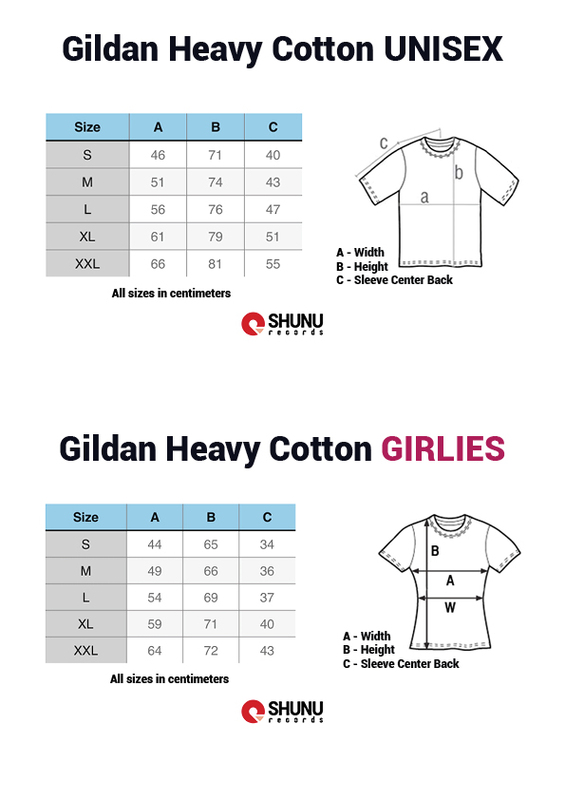 Check the size chart to find the right shirt for you.